Removal of varicose veins and laser treatment of the saphenous vein. Varicose veins are commonly associated with a feeder vein (the so-called saphenous vein) that runs in the fat under the skin on the inside of the thigh. Destruction of the feeder saphenous vein is necessary to prevent early recurrence of the varicose veins. This vein was previously pulled out (stripped), but nowadays the vein is destroyed without removal by a minimally invasive procedure. A laser fiber is inserted into the vein through a needle stick near the knee. The laser will heat up the vein and “glue” the vein shut to prevent any blood flow. The vein is not essential for the circulation of the lower extremity and does not need to be replaced. 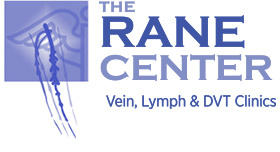 Laser treatment is not always successful; in 10 to 15% of patients, laser treatment fails to destroy the vein. If symptoms recur the vein may have to be surgically removed by the stripping operation or the laser ablation repeated. Sometimes symptoms do not recur even though the procedure failed. In that case nothing further needs to be done. The varicose veins themselves are removed through needle puncture incisions that usually fade away over time leaving behind no major scars. Many such incisions may be required depending on the extent of the varicose veins. Varicose veins are a generalized condition caused by an inherent weakness of the vein. Recurrence of varicose veins can be expected over time even if currently present varicosities are removed. However, the extent of recurrence in most patients is such that repeat removal is required only in a minority of patients. It is not always possible to surgically remove all varicose veins. Those that remain after surgery can be injected in the office (so called compression sclerotherapy). 1. Leave compression dressing (ACE Bandage) on for 24 hours, then remove the bandage. You may begin to shower or bathe once the bandage is removed. Apply soap to the small incisions and keep them clean. If steri-strips are present leave them in place. The steri-strips will come off by themselves or may be removed after 10 days. 2. Some bruising, discoloration, tenderness and hard knots may occur at the operation sites or on the inside of the thigh. This is generally harmless. Discoloration and bruising may not become apparent until a few days after the surgery. Aspercreme® may be applied to the area two or three times a day for relief. Application of cold or warm packs as preferred to the area of tenderness may also help. If there is excess pain or swelling call the office. 3. Postoperative pain is usually mild and easily controlled. Take Advil® or Motrin® 400mg by mouth every 8 hours for the first 3-5 days post-op. This will decrease the pain due to inflammation. 4. It is important to return to your daily activities the day after surgery. Normal use of the lower limb, including walking and light exercise, are all beneficial and will improve the result of the surgery. Try to walk a mile every day. Being active will not endanger the result of the operation. 5. Please purchase a below the knee support stocking found in drug stores, to use for 3 weeks postoperatively during the day. They can be removed at night. This will control the moderate postoperative swelling and soreness, which may occur. 6. If you have a leg ulcer, continue the ulcer care as previously instructed. 5. If you have been ordered Circaid® legging or medical compression stocking, wear it during the entire day (from morning until evening) and take it off at bedtime. 6. If you have any additional questions or concerns, do not hesitate to call the office.